Written in an insightful and highly readable style, this welcome book identifies the typical forms co-dependence takes in the life and ministry of clergy. The book offers practical insights into recovering from this and other self-defeating practices. 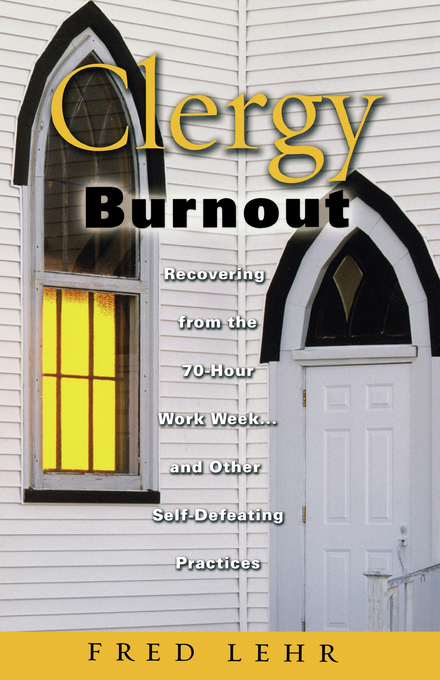 Clergy Burnout: Recovering from the 70 Hour Week and Other Self Defeating Practices by John Frederick Lehr was published by Augsburg Fortress Publishers in October 2005 and is our 56995th best seller. The ISBN for Clergy Burnout: Recovering from the 70 Hour Week and Other Self Defeating Practices is 9780800637637. Be the first to review Clergy Burnout: Recovering from the 70 Hour Week and Other Self Defeating Practices! Got a question? No problem! Just click here to ask us about Clergy Burnout: Recovering from the 70 Hour Week and Other Self Defeating Practices.